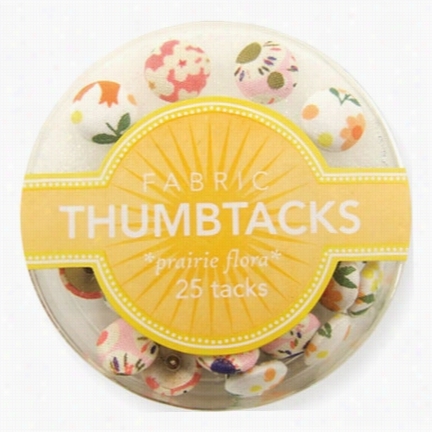 Fabric Thumbtacks - Prarie Flora. Dress up your bulletin boards, and add a decorative touch to your workspace with these fabric-covered thumbtacks. Great for the home and office, and a must-have for â€œcrafty" people.